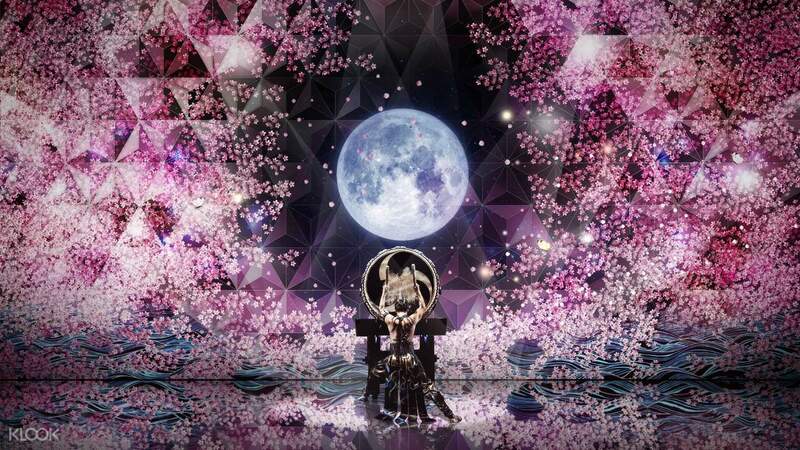 The incredible performance art drumming show that has taken the world by storm is now unleashing its beat onto Tokyo. 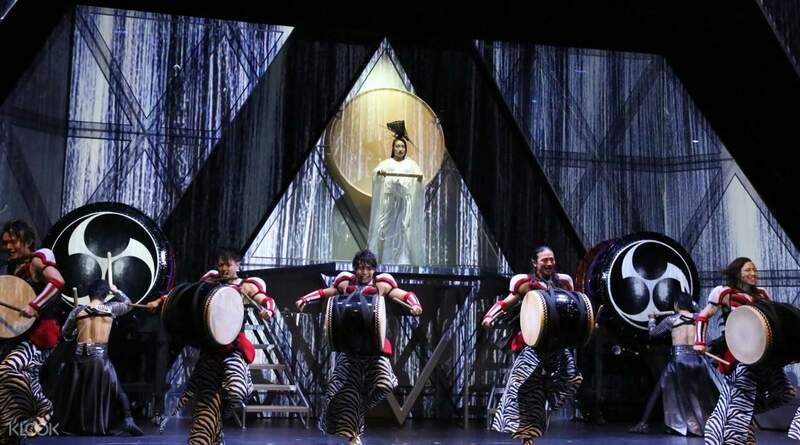 The world famous DRUM TAO group of musicians are coming back to Tokyo to perform MANGEKYO: Revolutionary New Drumming Entertainment in Tokyo. DRUM TAO is an incredible group of “wadaiko” players (drummers of all varieties of traditional Japanese taiko drums), and have been watched by over seven million spectators in 500 cities all over the world. 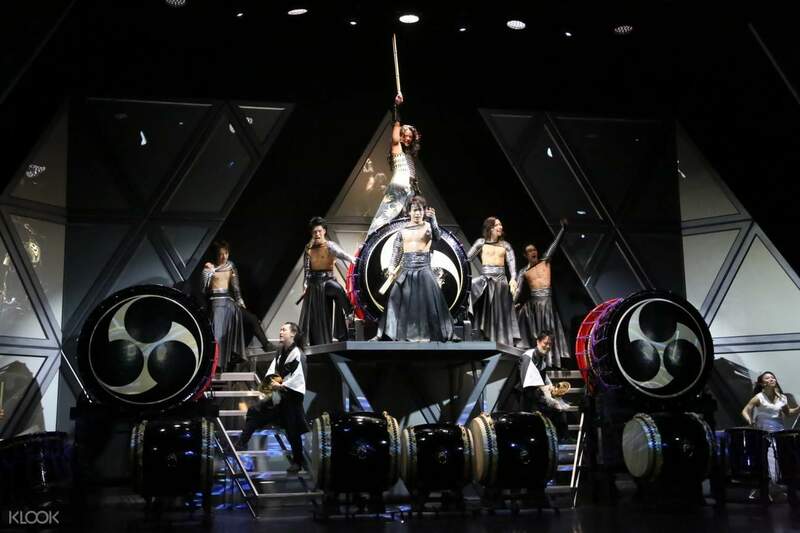 This Broadway nominated troupe will now bring its incredible percussion performance to Tokyo, performing synchronized taiko drumming in combination with flourishes of lights, choreography, dance, acrobatics, and visual effects. This is a wadaiko drumming performance unlike anything seen before in the world. it was a spectacular show!!! everyone have it their all and it was so enjoyable, I wish I can watch it again!!! I booked the 3pm show, the elevators to go up to 7F don't open until 2:30, there is no rush to line up, since your seat tickets are already printed if you buy from klook. note that the seats I got were not center seats, the were on the left. the description in the description is misleading. but it was still a wonderful show!!! they let you record the last part of the show for sharing to social media. it was a spectacular show!!! everyone have it their all and it was so enjoyable, I wish I can watch it again!!! I booked the 3pm show, the elevators to go up to 7F don't open until 2:30, there is no rush to line up, since your seat tickets are already printed if you buy from klook. note that the seats I got were not center seats, the were on the left. the description in the description is misleading. but it was still a wonderful show!!! they let you record the last part of the show for sharing to social media. I found this event because of searching for tickets for the Robot Restaurant, and that’s how I found Klook. The tickets for this show were a great deal and I’m glad we went. It had a very different feel of Japan compared to the Robot Restaurant, and I loved the sound of the drums. The costuming was inspired by traditional looks, but modernized and with a funky twist. The venue gave the audience and up close and personal experience. It was difficult to find the venue, but it was worth it. They also gave us one of the well known companies for green tea when we came in. I found this event because of searching for tickets for the Robot Restaurant, and that’s how I found Klook. The tickets for this show were a great deal and I’m glad we went. It had a very different feel of Japan compared to the Robot Restaurant, and I loved the sound of the drums. The costuming was inspired by traditional looks, but modernized and with a funky twist. The venue gave the audience and up close and personal experience. It was difficult to find the venue, but it was worth it. They also gave us one of the well known companies for green tea when we came in. This an awesome show. Small venue so all the seats are great! This an awesome show. Small venue so all the seats are great! a very good show, super complete and interesting. They are incredible artists, with a great cast and an impeccable staging. I would see it again without problems. the seats were great, the best in the room. The theater staff very attentive. the show lasts about an hour and a half, and although sometimes the volume seems to be a bit too loud for my taste, the reverberation of the drums reaches your soul. They show to others a complete repertoire of Japanese instruments and several great surprises. It is not allowed to take photos during the function. a very good show, super complete and interesting. They are incredible artists, with a great cast and an impeccable staging. I would see it again without problems. the seats were great, the best in the room. The theater staff very attentive. the show lasts about an hour and a half, and although sometimes the volume seems to be a bit too loud for my taste, the reverberation of the drums reaches your soul. They show to others a complete repertoire of Japanese instruments and several great surprises. It is not allowed to take photos during the function. This show is one of the best shows I have seen and I have seen a lot of shows all over the world. The group of performers are so good at what they are doing. I am a tour guide and I am going to recommend everyone come watch this show. I genuinely had a fantastic time! It’s on the pricier side but totally worth it! This show is one of the best shows I have seen and I have seen a lot of shows all over the world. The group of performers are so good at what they are doing. I am a tour guide and I am going to recommend everyone come watch this show. I genuinely had a fantastic time! It’s on the pricier side but totally worth it! They are professional performers, everything from the venue (Shinjuku), the show, the sale and photo shooting time were great. Way more than I expected. Definitely worth the money. They are professional performers, everything from the venue (Shinjuku), the show, the sale and photo shooting time were great. Way more than I expected. Definitely worth the money. Loved it. As well as the drumming and staff swirling parts I expected the show had a lot of comedic elements and beautiful backdrops and costumes. Loved it. As well as the drumming and staff swirling parts I expected the show had a lot of comedic elements and beautiful backdrops and costumes. Yesterday's evening show by Drum Tao was unbeliabably impressive and absolutely breathtaking. Above all, we were taken by the meticulously executed and perfect coordination between all performers who did every single thing as if they were one, exactly on time, all the time. In addition, their sense of rhythm and all other skills (musical abilities, flexibility, sense of humor, aerobic capacity, even acrobatic capabilities) are simply out of this world, and they also have a wonderful time themselves when they perform, which is contagious too. Thank you for a once in a lifetime experience which will be extremely hard to forget. Yesterday's evening show by Drum Tao was unbeliabably impressive and absolutely breathtaking. Above all, we were taken by the meticulously executed and perfect coordination between all performers who did every single thing as if they were one, exactly on time, all the time. In addition, their sense of rhythm and all other skills (musical abilities, flexibility, sense of humor, aerobic capacity, even acrobatic capabilities) are simply out of this world, and they also have a wonderful time themselves when they perform, which is contagious too. Thank you for a once in a lifetime experience which will be extremely hard to forget.